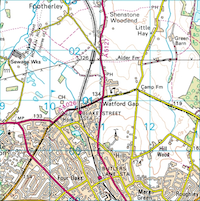 The enquiry about the local Watford Gap sparked way more interest than I expected, to be honest, so this morning, I decided to test the theory postulated by Andy Dennis that the area really was in a ‘gap’ between the hills of north Sutton. Here’s a quick question, asked of me today by the redoubtable Linda Mason. On the border between the modern counties of the West Midlands and Staffordshire, right on the edge of Little Aston/Hill Hook is a junction on the Old Birmingham Road, where Blake Street and Watford Gap Road intersect it. 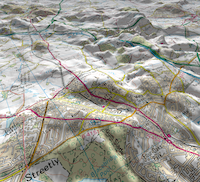 It’s called ‘Watford Gap’.